Kimberly Jean-Pierre the daughter of parents who migrated from Haiti to the United States. After high school, she attended Brooklyn College, and earned her Bachelor of Fine Arts in Creative Writing in 2005. In pursuit of her Master’s Degree she attended Stony Brook University, earning her Master of Science in Public Policy in 2007. In 2008, Kimberly was employed by the Suffolk County Legislature, working for Legislator DuWayne Gregory of the 15th legislative district as a Legislative Aide. As a legislative aide she was responsible for scheduling and act as a liaison with community leaders throughout the district. After two productive years serving Leg. 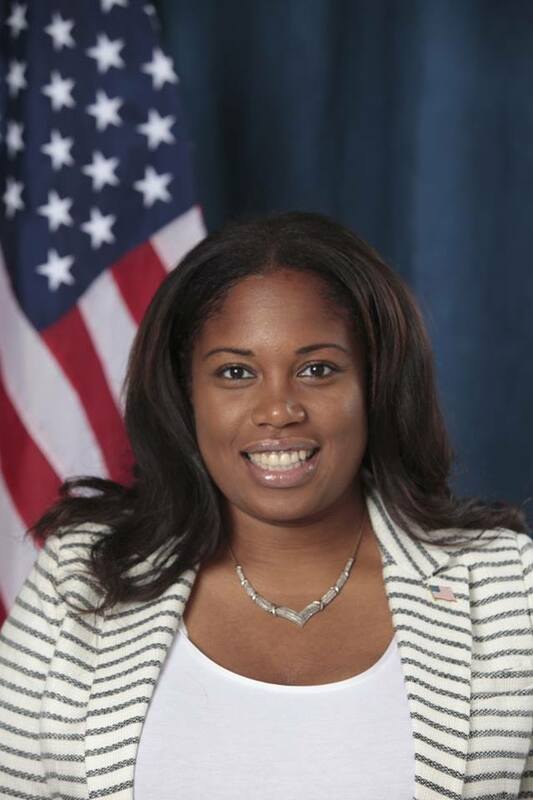 Gregory, Kimberly decided to broaden her career path and began working for Congressman Steve Israel as the district Community Outreach Coordinator. In this role she was the primary contact with various organizations and leaders throughout the district for the Congressman. In January of 2014, Kimberly had a desire to get experience in economic development as the (blank) at the Town of Babylon Industrial Development Agency (IDA). The Babylon IDA is responsible for providing incentives to companies to attract jobs and retain companies to the area. The IDA has been working closely with town officials, the community and the developer on the Wyandanch Rising Project which appealed to Kimberly. So when the opportunity came up to utilize her community outreach skills and economic development experience she leaped at the opportunity to become the Director of the Town of Babylon Wyandanch Resource Center. There she works with the community by identifying and coordinating resources for the local residents. She oversees projects and services at the center such as the Intro to Construction Pre-Apprenticeship program, providing local residents the opportunity to continue their education and careers through local unions and contractors, and also works closely with the project developer of the Wyandanch Rising project. Kimberly facilitates the Wyandanch Leadership Committee, which is comprised of community stakeholders and local elected officials; the purpose of this ongoing discussion, is to share and disseminate information, identify the communities assets and collectively work together on the filling the gaps. Outside of school and work Kimberly Jean-Pierre has also demonstrated a commitment to various causes. During her undergraduate studies, she interned for New York Public Interest Research Group (NYPIRG) where she led the Hunger and Homeless Campaign (HHC); this allowed her to travel to Albany to lobby against Tuition Hikes for the Higher Education Campaign. She is also very involved in the Haitian-American community and is the former Vice-President of Haitian Americans United for Change, (H.A.U.C) Inc., a community grass-roots organization. After the devastating earthquake in Haiti in January 2010, the HAUC team worked with local non-for-profits, clergy members, local businesses, and various levels of government on a Haiti Relief Project as one of the lead organizations. Kimberly Jean-Pierre was the coordinator of the Haiti Relief Project. She worked tirelessly to organize and sort through thousands of dollars of donated goods to include medical supplies, clothing, non-perishable items and more, dozens of volunteers, shipment arrangements for the goods, transportation and storage of donations and much more. Kimberly Jean-Pierre has a passion for working with people and by utilizing her interpersonal skills she has proven she gets things done.